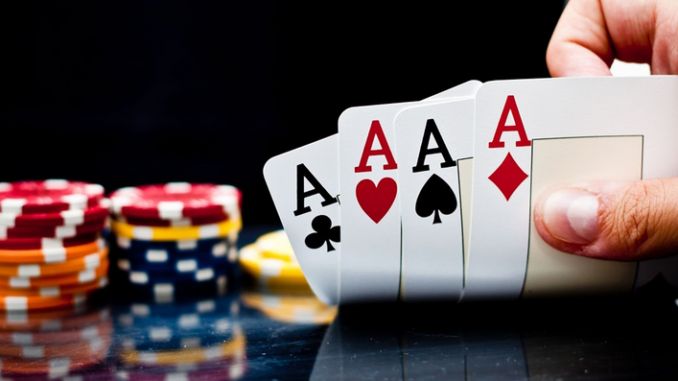 The Venetian will host a popular poker series called DeepStack during the summer which will start on May 13 and last all the way through until July 28. In other words, the DeepStack Championship Poker Series will last for a total of 10 weeks with more than $24 million of guaranteed prize pools that will be awarded in 116 events during that period. DeepStacks series also has several signature events which are $400 and $600 buy-in tournaments that last for two days and have multiple flights. The guaranteed prize pools for these events start from $100,000 and go up. The Venetian knows that there are people who have less time, which is why they plan to organize one-day events that appear every now and then in the schedule. Furthermore, the schedule displays 15 mega satellite events that will award the best players with seats for bigger events that will take place during the series. The Venetian will once again host poker tournaments such as Card Player Poker Tour (CPPT) and Mid-States Poker Tour (MSPT). The DeepStacks schedule starts with a $1,100 NLH Summer Kick Off with $400,000 guaranteed prize pool. This event will start on May 27 and last for two days. It is followed by the $1,100 NLH MSPT, which offers $3 million in guaranteed prizes and will last from June 3 to 8. On June 10, an $800 NLH Seniors will begin and last until June 12, with a $750,000 in guaranteed prizes, only to be followed by a $600 NLH EpicStack that offers the same prize amount and will last June 14-17. The next one on the list is the $1,600 NLH MSPT, where players will have an opportunity to share the prize pool of $3 million. This event will last from June 17-21. On its last day, another $600 NLH EpickStack will begin and last until June 24. June 24-27 is reserved for the $3,500 NLH, which offers $2 million in guaranteed prizes, and June 26-29 will be the time for a $1,100 NLH MonsterStack for $1 million guaranteed prize pool. The $600 NLH NightStack will have 6 flights and a total of $500,000 guaranteed. It will last from June 30 to July 6. One day before it ends, another event will begin on July 5, and that is $1,100 NLH Summer Saver that also has $1 million guaranteed. The SummerSaver II will begin two days after the first one ends, which means on July 9, and it will last until July 11. On July 16, The Venetian will host the $5,000 Card Player Poker Tour (CPPT) Main Event with $2 million guaranteed. Finally, July 23-28 is reserved for the $400 NLH Closer event which will bring a total of $250,000 in guaranteed prizes. If you happen to be nearby in May or June or July, make sure not to miss some of the best poker events in the world!